Debbie (Debra) VanBrackle is a personal lines agent, and has been with DeWitt Insurance since 2008. 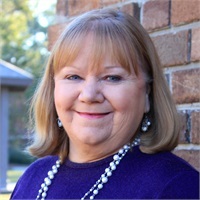 She has over 40 years experience in the insurance industry, including time in both commercial and personal lines as well as loss prevention services. Debbie holds both CISR* and ACSR* designations, and looks to serve each client’s needs by providing the best protection options available for their assets. She is an active participant in Relay for Life, and has been a member of our agency team for several years.